If you’re contemplating purchasing a craft beer gift basket for the beer lover in your life, take a minute to consider what kind of beer they’ll actually receive. It’s not a pretty picture. Most contain either one bottle or an entire basket filled with…you guessed it…Budweiser. If you’re looking for something along the lines of a craft or microbrewed beer, you might find a Sierra Nevada, Samuel Adams, or Fat Tire in a basket or two, which isn’t surprising, as they’re the three largest craft breweries in the country. So, when you’re considering the most important component of your gift (the beer itself), you have to wonder if a beer gift basket is really the way to go. The Microbrewed Beer of the Month Club™ thinks not, and would love it if you gave us another 30 seconds of your time to make our case as to why our beer clubs, like the new Hop-Heads Beer Club, are the right choice. * Exclusive selections such as Jolly Pumpkin’s Lupulo de Hielo, an oak-aged spiced blended ale, are a benefit to being a member of The Rare Beer Club®. Give us a shot today and save up to $25 off on a beer club membership! We’ve stood the test of time for over 20 years because we place product selection above all else while consistently delivering outstanding, exciting beers since 1994. Choose to send only U.S. Craft beers, imports, or both, depending on which club you choose to gift. 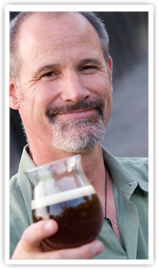 For the truly discerning beer aficionado in your life, check out The Rare Beer Club. There’s nothing like it out there and it’s sure to make a huge impression on any true beer lover. Choose any club or combine the five clubs in any way using our Design Your Own Club™ program and ship monthly, every other month, or even on specific months that you designate. 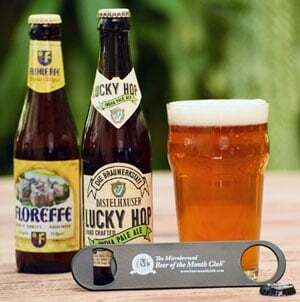 You can literally design any kind of membership that you can think of, including combining one of our beer clubs with any of our other five exclusive clubs (wine, cigar, cheese, chocolate, and flower clubs). Don’t send a beer gift basket - send a gift that will show you care enough to send good beer, one that will be appreciated not just once, but with every shipment. We’d appreciate the opportunity to serve you.